0 Old Banning idllywild Rd. 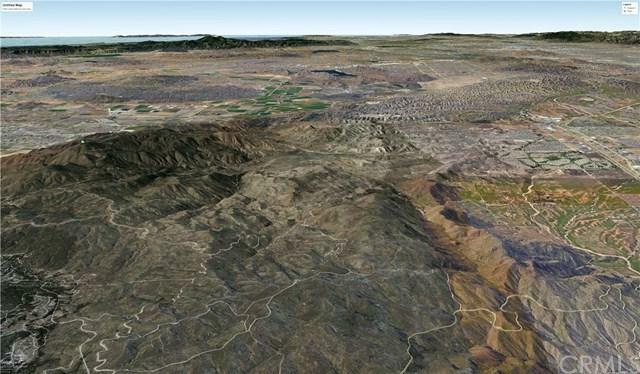 Legal buildable lot in the foothills south of Banning. Just off the County maintained Old Banning Idyllwild Rd. Rural, peaceful, getaway site. camping permitted. Water and electricity available. 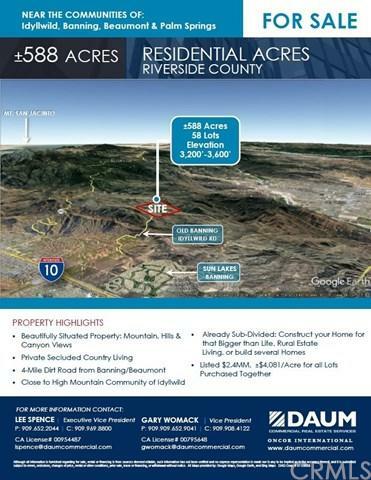 Other nearby 20 acre parcels are available for sale. 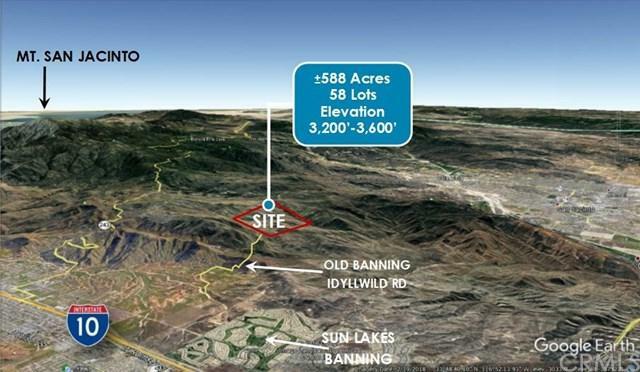 bring your friends and family to buy neighboring parcels!can buy 1 (+/- 20 acres), or 2 (40 acres), or 3 (60 acres). Farming? raise live stock? some Oak trees at the 3,000 + elevation. a rural, country, life style but only 4 miles from civilization.